Rigid Badge Holders: Rigid Access Control Card Holder. You are viewing Lanyards > Badge Holders > Rigid Holders > Rigid Access Control Card Holder. These rigid access control card holder provide open slots, designed to protect the security control card and magnetic stripe but accessing the card easily available from front side. The plastic tabs inside card holder keep card from falling out. Fit card size: 3 3/8"(w)x2 1/8", which is the same size as driver license and credit cards. They are landscape style with holes for badge clips or lanyards with 2 hooks. 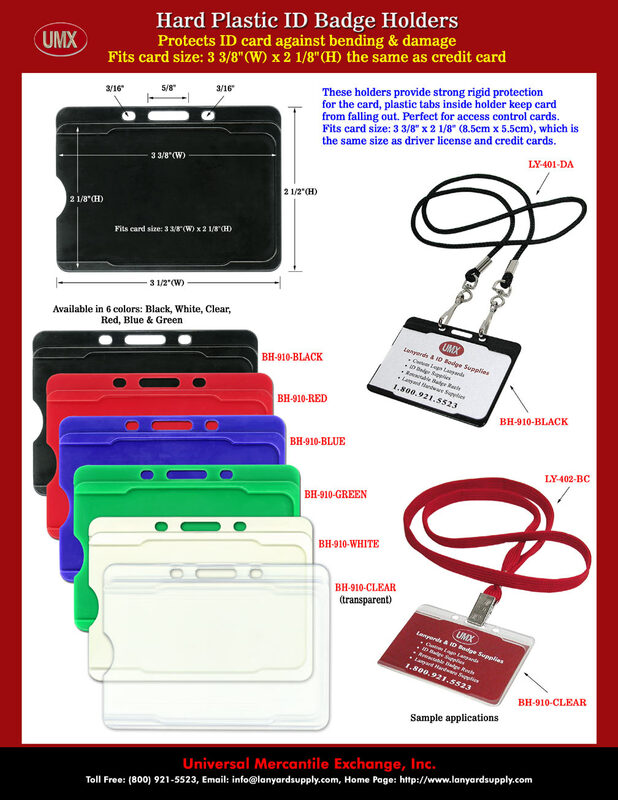 You are viewing Lanyards > Badge Holders > Rigid Holders > Rigid Badge Holder, Rigid Access Control Card Holder Supplies.